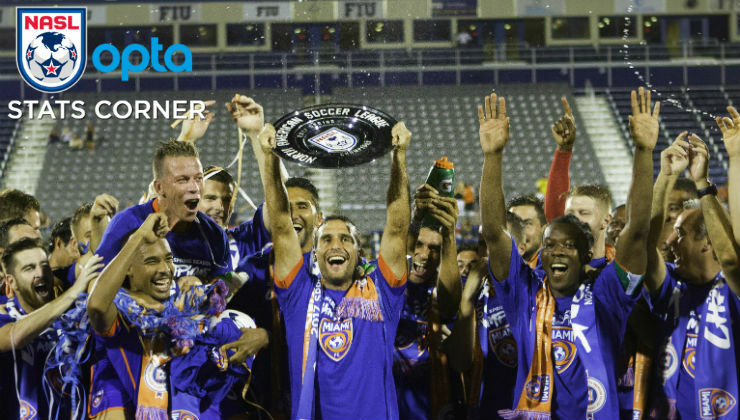 Miami FC had a superb Spring Season and was even dominant at times. The club lost only two games during the first 16 games, picking up 11 wins en route to the Spring Season title. 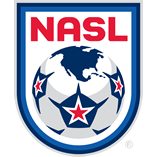 Miami currently leads the NASL in several categories as well. Miami led the league in goals scored in the Spring, finding the back of the net 33 times. The club boasts the league’s two top scorers – Vincenzo Rennella (10) and Stéfano Pinho (8). Pinho has the only hat trick of the season so far, which came in a 7-1 win over the San Francisco Deltas in the Spring title-clinching win. Of the club’s 33 goals, 28 of them – including one penalty – have come from inside the box. Further looking at how Miami scores its goals, the club has found the target on 16 occasions with the left foot and 12 times with the right. Pinho has scored seven of his eight goals with his left, while Rennella has knocked home six of his 10 goals from the left boot. With Miami’s amount of goals in the Spring, it’s no surprise that the club created the most chances (187). Kwadwo Poku finished second in the Spring Season with 30 and teammate Dylan Mares was just behind with 29. Miami also led in shots taken with 230 attempts through the first 16 games. The Spring Season Champions were equally dangerous in the beginning of games or at the end of them. Miami scored five goals within the first 15 minutes of contests, but closed out even stronger with seven tallies in the final 15 minutes. Overall, the club scored 13 first half goals and 20 times in the second stanza. Leading scorer Rennella found the back of the net a total of six times in second halves and scored on three occasions in the final 15 minutes. Teammate Pinho proved to be a fast starter, scoring more goals in the first 15 minutes (3) than any other player in the Spring. The club also scored at an impressive rate with a goal for every 44 minutes of play. In the Spring, Miami made a total of 8,616 passes, keeping possession on average of 58.9 percent. The Orange and Blue didn’t just attempt a lot of passes, though. The club had a passing accuracy of 87.76 percent. Defender Mason Trafford has attempted just under 1,000 passes so far (969) and has a league-leading 92.05 passing percentage. Of the top five most accurate passers (with at least 300 attempts), Miami ultimately had the top four - Blake Smith (90.96), Richie Ryan (90.8), and Rhett Bernstein (90.640).